The gate closing Bragg Hill Road near Northbrook Road. Pocopson officials have been trying to close the roadway for a number of years and recently ordered the installation of gates at both ends. The gates have been forced open and damaged in recent weeks, township officials said, prompting a State Police investigation. 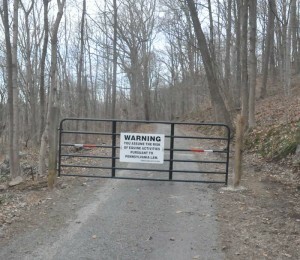 POCOPSON — Township officials had been trying to close a portion of Bragg Hill Road for at least five years and last month, when no objections were filed regarding the vacating of that portion of the roadway, officials asked that gates be installed as soon as the weather permitted designating its use as a walking and equestrian trail. 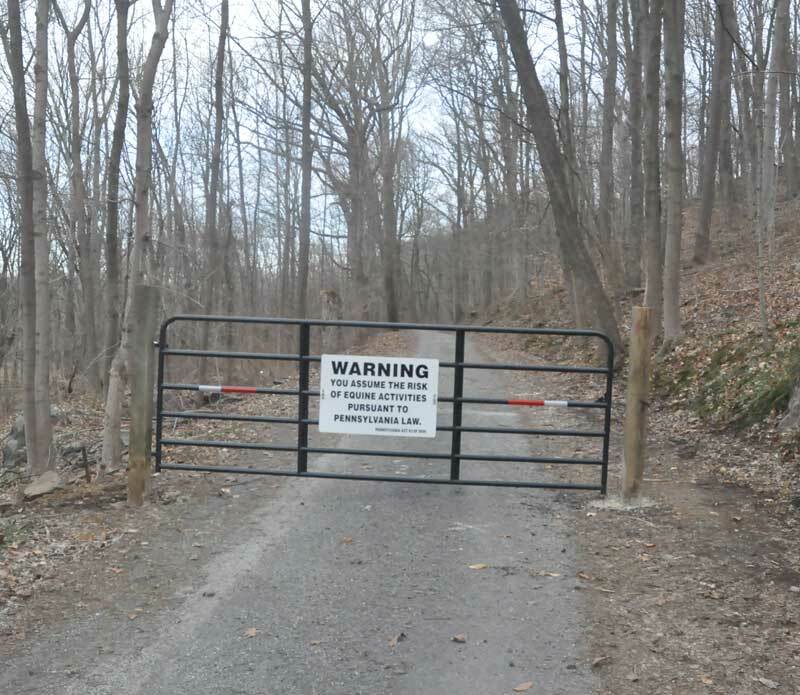 In addition to the current No Outlet sign posted at Route 842 and Bragg Hill Road, the township will add signage to the gates notifying that the private property beyond is a designated walking/equestrian trail. While it is many years since I last drove on Braghill Road, I think it is unfortunate that it was closed, It was a very scenic drive. If the now closed road is intended for use by walkers, where are cars supposed to park in order to walk down the closed road? Where else can someone on foot go that connects to this? How does someone who does not ride horses and who no longer can walk enjoy this road? And while I was for years a horseback rider who used the road, only a very few people are privileged enough to use the road for that purpose, as most people do not own or ride horses. Just today my babysitter was trying to get to my house and her GPS sent her down Bragg Hill. She got herself turned around, but is there anyway to contact the mapping companies to have them remove this ‘road’? For what it’s worth — my new Garmin GPS does show the road ending where it does. I checked out both ends of the road Friday while shooting images. I do think the sign leaves something to be desired, however. Something simple like “Road Closed to Vehicular Traffic” might work. The sign that’s there makes it seem like a driveway — which led me to turn onto an actual driveway.